Did you know you can watch Monday Night Football live streamed through a Roku box? I discovered that fact when my wife commandeered our primary TV and satellite receiver to watch Dancing With The Stars. Turns out there’s all sorts of watch TV online through a host of Internet-connected devices including DVD players, TVs, computers, gaming consoles and set-top boxes like Apple TV and Roku. And now there’s a place to explore that world and get answers to your questions. 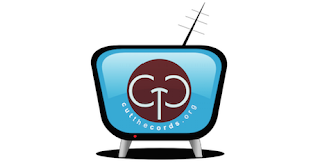 The Cut The Cord Forum is an online community for people who use content streaming services and devices as well those who are new to the concept. The goal of the four is to make streaming at home easy. The forum has discussion boards devoted to all facets of legal streaming technologies. That covers both services such as Hulu, Netflix, iTunes and Amazon Instant Video and hardware such as Chromecast, Sling Box, Fire TV and Apple TV plus Xbox and Sony game machines. Access to the Cut The Cord Forum is free. Membership requires only a simple registration and users won’t get bombarded with ads.